1st Med Transitions is an industry leading expert in Dental Practice Sales and Transitions. Sell Your Dental Practice with 1st Med Transitions and utilize our streamlined marketing system and transition process that takes advantage of technology to speed up communications and the transition processs. This enhanced communication and automation allows 1st Med Transitions to substantially reduce costs and transfer the savings to our clients. On average, our sellers save 40% - 50% in commissions over traditional practice brokers. Our Dental Transition Advisor Team is comprised of Dental Practice Sales Experts that posses the direct industry kowledge and experience needed to assist each seller in the successful sale of their practice. Our Dental Transition Advisor Team will assist you in determining your personal and professional goals, make sound recommendations and develop a plan to reach those goals, while providing comprehensive support at every step of the way. 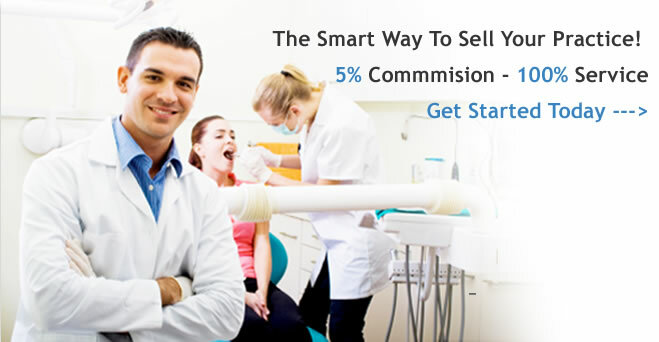 Why Sell Your Dental Practice With 1st Med? Our transition advisors will listen to and discuss your specific professional and practice goals. After our detailed consultation, we will discuss the custom-tailored solutions and steps needed to meet your goals. If we decide now is the right time to proceed with your transition, our advisors will work closely with you to expedite the successful purchase or sale of your practice! The time from when I signed onto 1st Med to the day I received payment for my practice was a mere few months and I can honestly say that I have zero regrets. I can’t imagine why anyone would go with one of the large ‘old school’ brokers that wanted to charge me twice what 1st Med Transitions did.